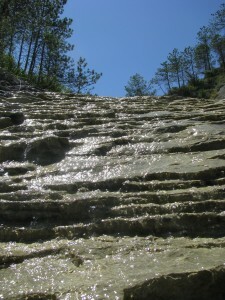 Erosion breaks down rocks into small pieces known as sediment. This sediment is carried away by wind or water. The sediment eventually lands somewhere as sand or mud. Over time, new sediment piles on top of the old. The older layers become compressed and hard. In time, the sediment turns to rock. Sedimentary rock is rock that is made up of minerals, sand, mud, and even the remains of living things. It is often softer than other types of rock. Sandstone is made from grains of sand that have melded together over time, or lithified. 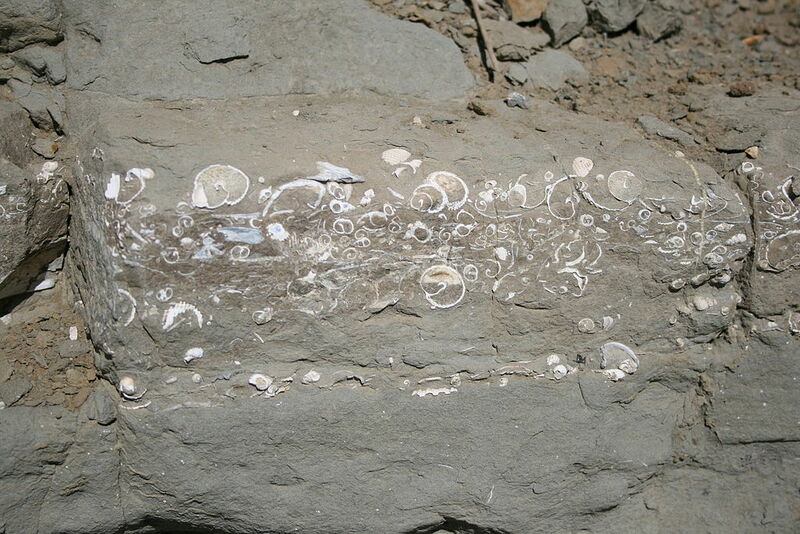 Sedimentary rock often contains fossils of plants and animals millions of years old. 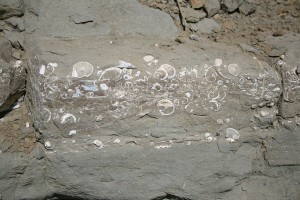 The mudstone cliffs along the southern coast of England have many fossils from the time of the dinosaurs. Limestone is often made from the fossilized remains of ocean life that died millions of years ago. The White Cliffs of Dover in England are made from the shells and remains of trillions of tiny animals that died more than 65 million years ago. Clay is a sedimentary material made from bits of weathered rock that have combined with water. Conglomerate rocks contain round river rocks surrounded by hardened sand or another type of sediment. In swampy areas, plants die but they do not decay. Instead, they turn into peat. When the peat is compressed over millions of years, it becomes coal. A clay animation explaining the formation and characteristics of sedimentary rocks. Question: Where can I find sedimentary rock? 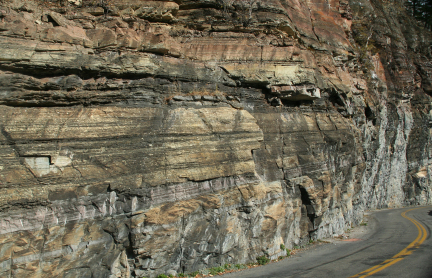 Answer: Sedimentary rock is everywhere, but is especially common along cliffs. The rock probably sat underneath an ocean or lake at one time. Enjoyed the Easy Earth Science for Kids Website all about Sedimentary Rocks info? Take the FREE & fun Sedimentary Rocks quiz and download FREE Sedimentary Rocks worksheet for kids. For lengthy info click here. Declan, Tobin. " 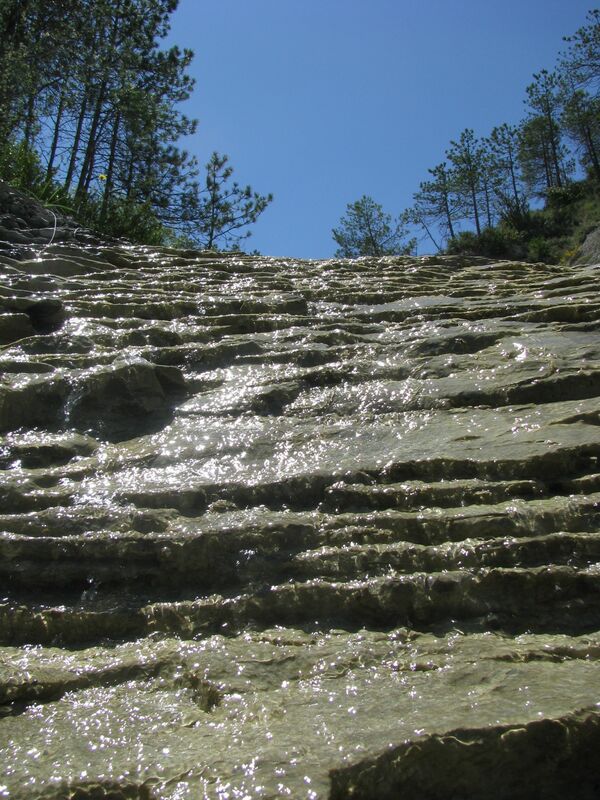 Fun Sedimentary Rocks Facts for Kids ." Easy Science for Kids, Apr 2019. Web. 23 Apr 2019. < https://easyscienceforkids.com/all-about-sedimentary-rocks/ >.